Sterlite Copper (a unit of Vedanta Limited). Screenshot from a Sterlite Copper video on YouTube. 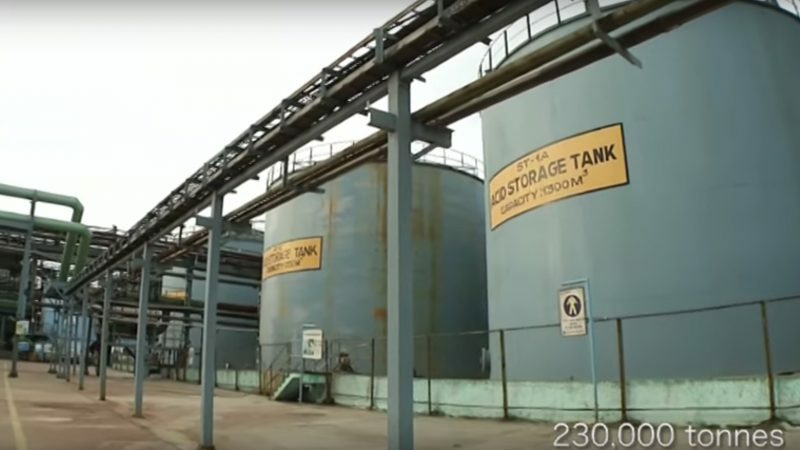 Police in Tuticorin (Thoothukudi) city in the South Indian state of Tamil Nadu fired on a demonstration against the expansion of a copper plant that locals say is polluting the air and water in their district and affecting their health. As a result, thirteen people have died and more than a hundred were injured. Protests have been ongoing since March 2018, and have seen families and people of various political backgrounds coming together peacefully. May 22 marked the 100th day of mobilization against the Sterlite plant. Thousands of men, women, and children had gathered with the intent of filing a petition with the district collector's office, which is the seniormost executive magistrate in the district. Since there was no pre-approval for the rally, the police forces set up barricades and tried to stop the public. Since then, more than 100 people have been arrested in the port city for rioting and damaging public property. The government has ordered the suspension of internet services in Tuticorin and two adjoining districts for five days, saying it will prevent the spread of false information on social media. However, some have pushed back against that explanation, alleging that it's really to stop the spread of police brutality footage. The Sterlite copper smelting factory, which is a part of Indian billionaire Anil Agarwal's Vedanta Group listed in London stock exchange, started operations in 1997 and has a history of accidents, complaints and controversies. In 2010, the Madras High Court ordered the plant to be shut down because of pollution it was causing. The Supreme Court stayed the order and ruled that the National Environmental Engineering Research Institute should inspect the problem; in that body's report, it mentioned threatening levels of copper, cadmium and fluoride in the groundwater in the areas surrounding the plant. The factory caused further disruption in 2013 when there was a toxic gas leak. After a brief closure and a fine of 1 billion Indian rupees, ordered by the Supreme Court, the factory opened again. Sterlite has applied for permission to expand, which the Tamil Nadu Pollution Control Board rejected. The Madras High Court issued directives to Vedanta to cease the construction of the second plant. Videos have been circulating in the social media of police acting violently or cruelly with protesters, which has added fuel to the furious fire that is raging. Various political leaders and prominent figures have criticised the police violence and the ministry of home affairs has asked for a clarification about this incident from the state government. Meanwhile, the chief minister of Tamil Nadu has defended the police, saying they were forced to take action because “protesters resorted to repeated violence.” He has also announced compensation for victims of the shooting.